Since I've tried to cut down massively on refined sugars, breakfast has evolved into a more elaborate affair. As I work my way down the milk replacements I spotted some hazelnut versions of the almond milk that I've been enjoying - so I gave it a go. 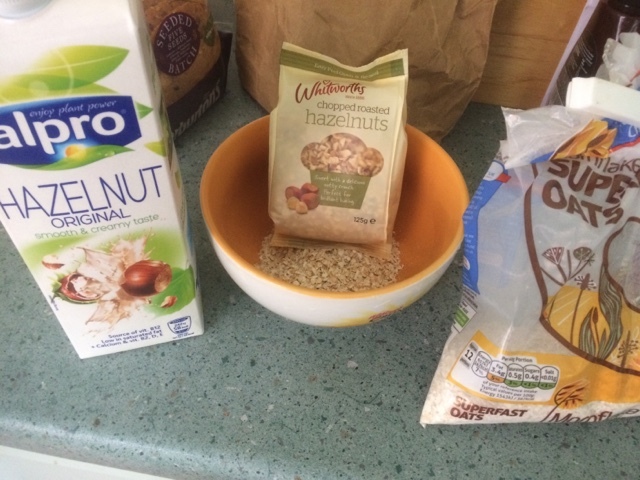 I also picked up some crushed hazelnuts to sprinkle on top of the mornflake speedy porridge oats that I already have. The hazelnut Alpro is actually really nice, and has a warm brown colour which is logical but unexpected. It unsurprisingly has a nutty flavour. The porridge really soaked it up and I think I'll have to use slightly more in future. I added my usual fruit and sprinkled on the nuts, which were perfectly crispy and added some much needed texture to the soft breakfast. 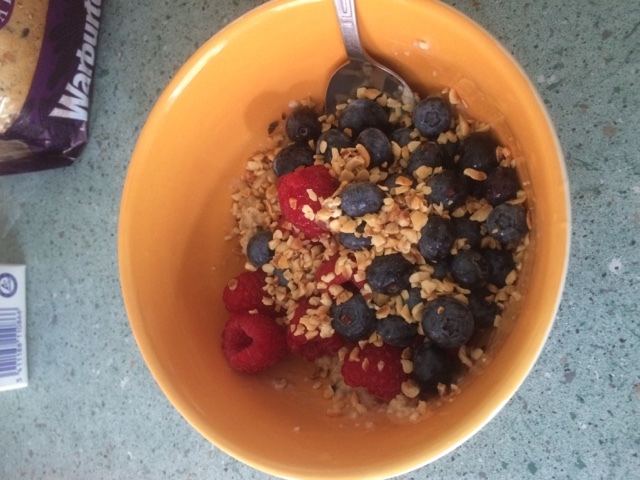 It ticks all the unrefined grains boxes, and also has no dairy so is a great way to start the day. The hazelnut milk is terrible in tea though, it tastes like Costa got your order wrong. In coffee it's a nice understated flavour, but if like me you want a cup of dairy free decaf tea when you get home you'll need a more typical soy drink to go alongside it.